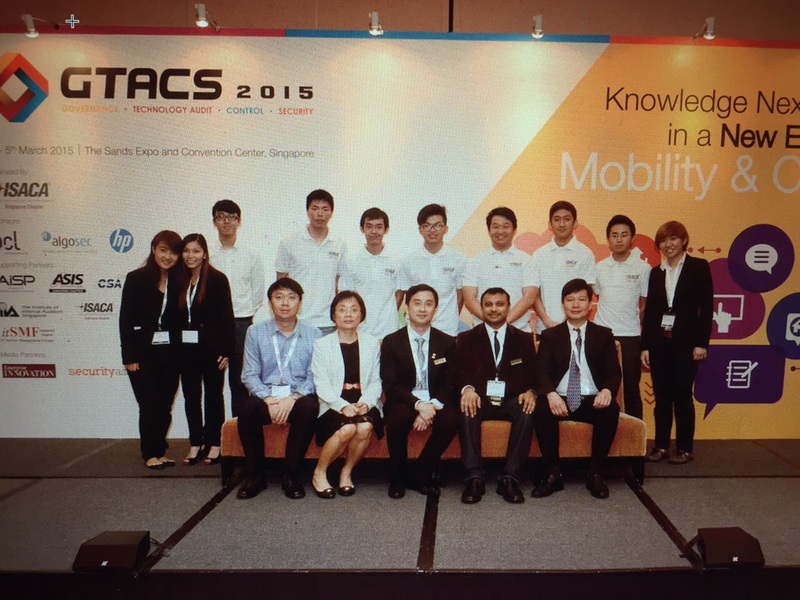 Proudly organized by ISACA Singapore Chapter, the Governance Technology Audit, Control and Security Conference (2015) was held at The Sands Expo and Convention Center from 3rd to 6th March. TP ISACA Student Group had deployed students to assist various segments of the event such as registration and ushering. The students are honored to be present for some of the conference sessions while helping out for the event. GTACS 2015 had provided the student helpers a good exposure to the industry seminars and conferences while executing their responsibility as a helper. 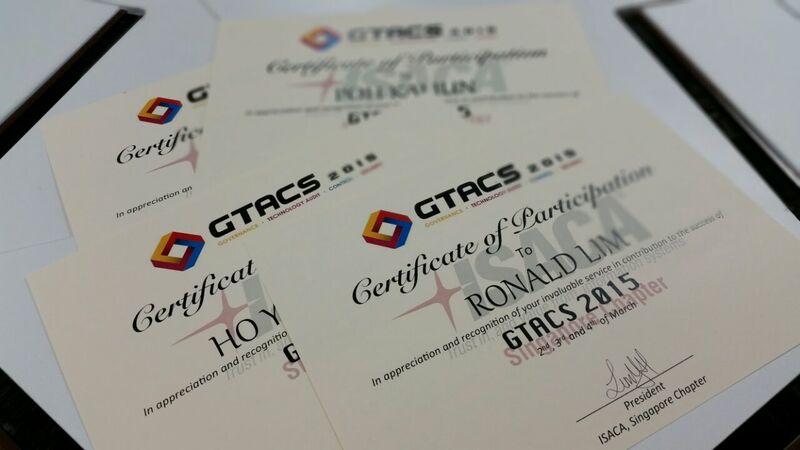 In recognition of their efforts contributed to the conference, the President of ISACA Singapore Chapter had thus issued Certificate(s) of Participation in appreciation and recognition of their invaluable service that had contributed to the success of GTACS 2015. It was an enjoyable experience for the student helpers and we hope to receive the honorable opportunity again to be part of GTACS 2016! Click to subscribe to our blog and receive notifications of our new posts by email.